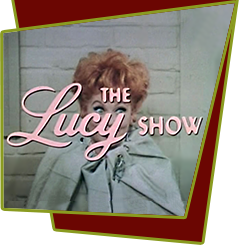 Lucy puts a deposit on a dinette set during a big department store sale, beating out an infuriated socialite. When Lucy realizes that the furniture is more expensive than she thought, she takes a job at the store to pay for it. Throughout the day she has run-ins with a haughty, hefty society matron who keeps getting her bounced from one department to another. Lucy ends her sales career in sporting goods where she has trouble with stilts, handballs, and a motorized skateboard. Bloopers: When Lucy climbs onto the stilts to reach the handballs, the camera pulls far out, clearly displaying the boom mike's shadow across the empty wall.